On Sunday, I did something that up until last year I thought I could never do: I ran my first full marathon! And while these were some of the hardest miles I’ve run to date, they were also the most rewarding. But let’s start at the beginning. I chose the Walt Disney World Marathon because I live in Orlando and it’s a local race, but also a big race. Although many runners I talked to suggested staying on Disney property for less stress on race day morning, I was trying to minimize costs and decided to make the commute instead. Along for the adventure was one of my best friends, Roxy. Roxy’s fast. And when she runs it’s beautiful and graceful. I don’t hold this against her though. It just means she’s always at the finish line waiting for me at the end. Since my name is a little hard to pronounce if you’ve never seen it (it’s pronounced “Hey-marie”), writing “Go Hey” on my arms gets people to yell just that. And usually my closest friends call me that, so every time a stranger yells it it makes me smile. I added mouse ears on Roxy’s arm. Perfect! When I got out of the car I didn’t think it was that cold (it was in the 50’s) so I left my throwaway towel in the car. 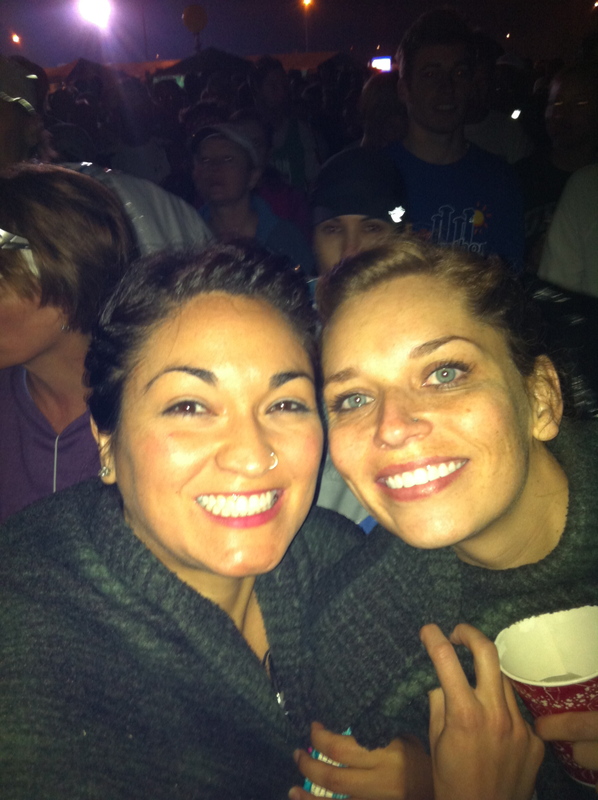 This ended up being a mistake because it got cooler as we walked out to the corrals. Lucky for me, Roxy shares and she had a nice warm blanket. 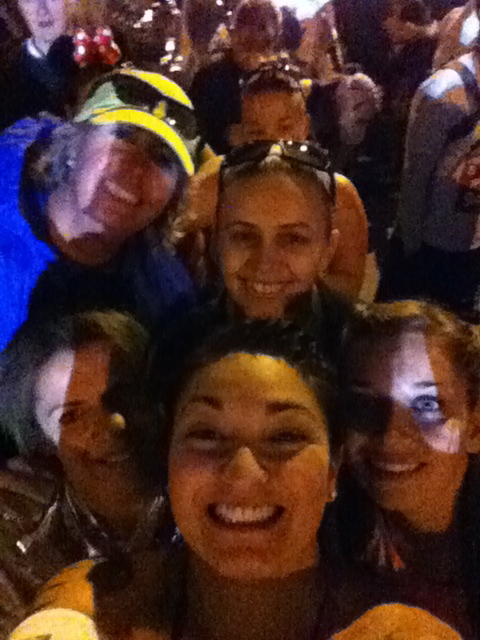 At 4 AM we met our group in front of the information tent in the start zone. 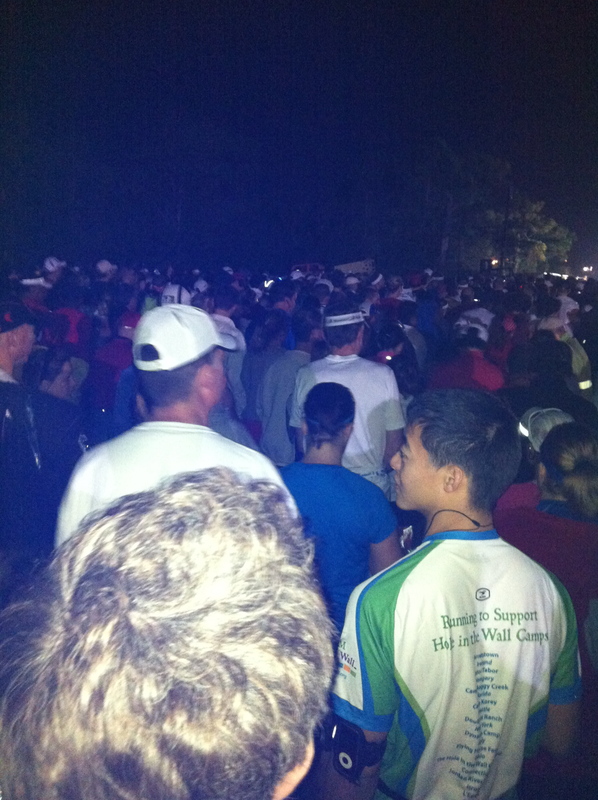 Around 4:40 AM we set off on our walk to the start corrals. Take thousands of runners and have them walk approximately 20 minutes on a path. Have fun not losing part of your group several times (as we did). 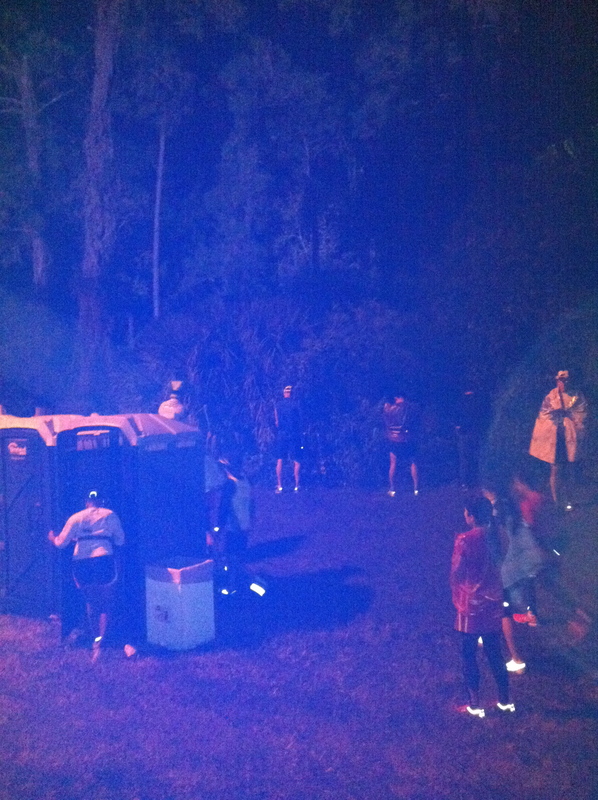 Behind the port-o-potties were runners lined up peeing in the woods, and they weren’t always boys. Girls did it too. I suppose some people just don’t wait in lines, no matter how short they might be. 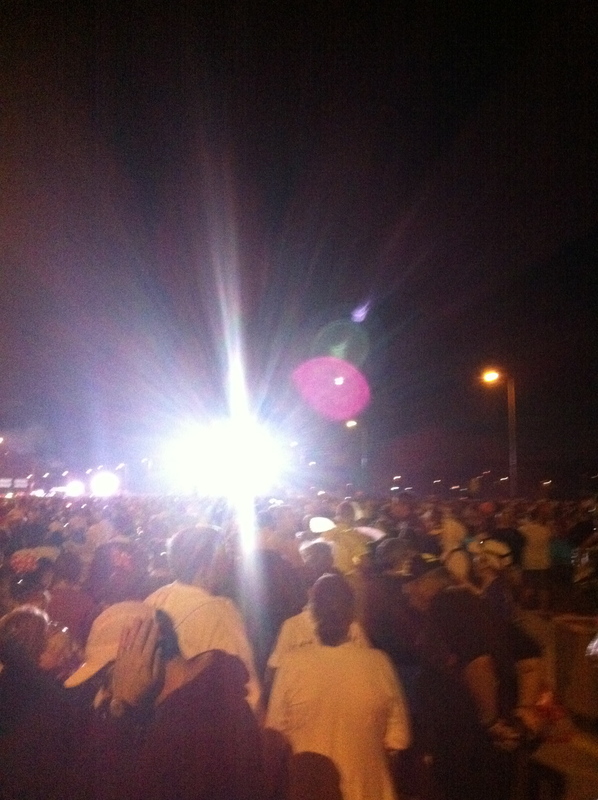 By the time we got to the start corrals, it was pretty close to the race start. We stretched near corral G then joined in the excitement. All around us people were laying down or sitting and I just remember thinking that if I did either of those I might fall back asleep. The bright light was where the giant screen was. Though I liked to think it was an angel watching over us. Corrals were released in waves, with Mickey Mouse counting down each wave. With every wave there were fireworks, which I failed miserably at capturing on my iPhone. However, this was hands down the most exciting start line I’ve been witness to. 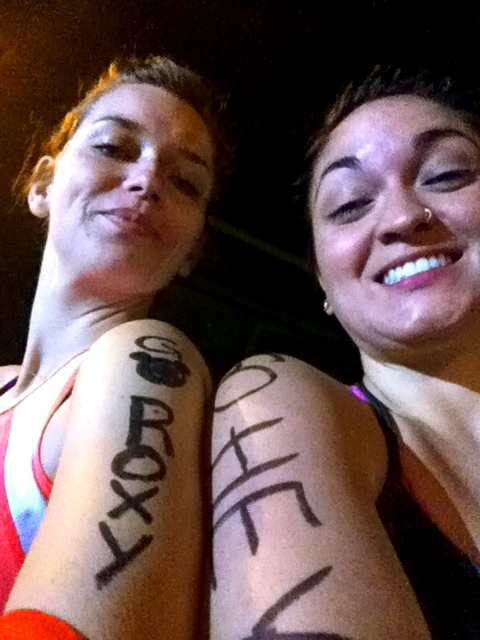 After about thirty minutes of shuffling, we finally reached the start line. 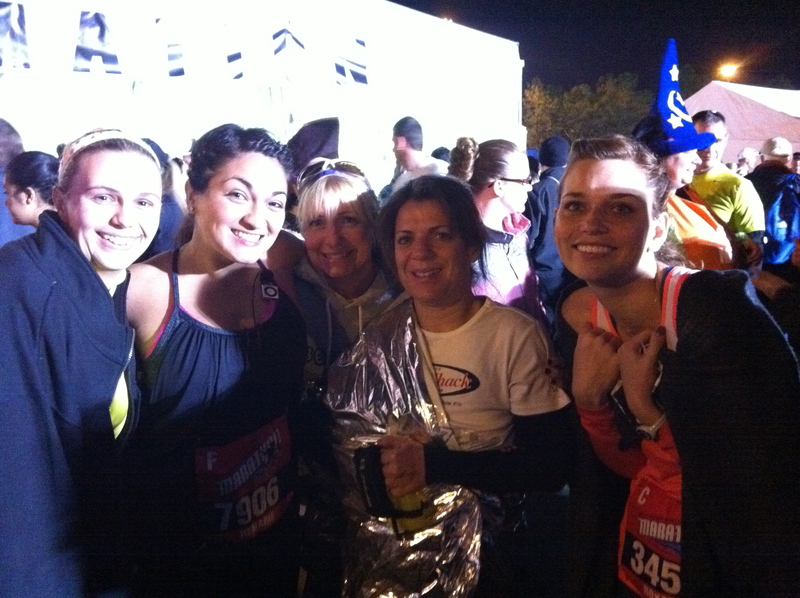 I crossed the start line at 6:01 AM.